Caroline Lucas MP chairs the group, supported by vice-chairs Tommy Sheppard MP and Hywel Williams MP . The group meets regularly with other supportive Parliamentarians. Parliamentary CND plays an active role in the life of parliamentary discussions on nuclear disarmament and non-proliferation with MPs, tabling Early Day Motions and initiating and engaging in Parliamentary debates. Questions to the Defence Secretary on Trident replacement and to the Foreign Secretary on the UK’s commitment to global nuclear disarmament are regularly tabled. Furthermore, Parliamentary CND regularly engages with select committees as they scrutinise government departments on issues relevant to CND. 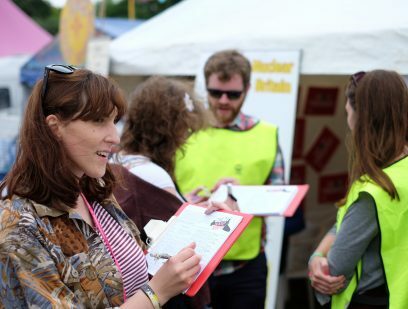 CND regularly asks activists and supporters to lobby their MPs and to sign statements or raise questions in Parliament on their behalf, as well as working with them in the local constituency. 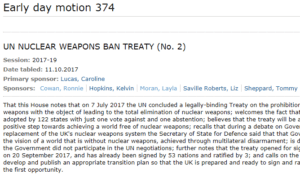 CND encourages you to get in touch with your own MP to discuss their views on Trident replacement, the Treaty on the Prohibition of Nuclear Weapons, or any of our campaigns and policy focuses. If you’re arranging a meeting with your MP to talk about replacing Trident, we’ve created this handy guide on how to go about it and the points you could raise. Have a look by clicking here! CND also regularly asks its activists and supporters to lobby their MPs to sign Early Day Motions (EDMs), raise questions in Parliament, and take part in campaigning activities. If you have any questions in relation to Parliamentary CND, its work, or how you can best engage with your own MP, please email: parliamentary@cnduk.org. Parliamentary CND regularly drafts and submits its o wn EDMs, and CND call on our members and supporters to request that their MP sign them. You can learn more about EDMs and view a list of Parliamentary CND’s active motions by clicking here. 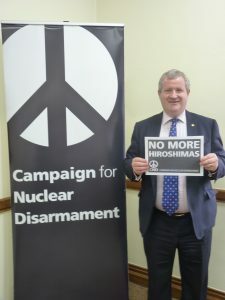 Just as opposing the replacement of the Trident nuclear weapons system is a key aim of CND, it is also an intrinsic part of Parliamentary CND’s campaigning activity in Parliament. 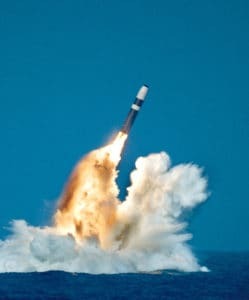 To learn more about the debate on Trident replacement in Parliament, click here.